Master Grade-I, Group-B (NG): Matriculation or equivalent from a recognized Board or Institution and Certificate of Master 1st Class I.S.V. and At least two years’ experience of independently handling of a vessel of not less than 30 nominal horsepower. Master Grade-II, Group-C (NG): Matriculation or equivalent from a recognized Board or Institution and Certificate of Master 2nd Class I.S.V and At least 2 years’ experience of independently handling aircraft of 20 horsepower. Syrang of Lascar, Group-C (NG): Matriculation or equivalent from a recognized Board or institution and Two years’ service/experience as a Sukhani of a vessel of not less 20 horsepower and Knowledge of Storm and distress signals, charts, and compass. Engine Driver II Class, Group-C (NG): Matriculation or equivalent from a recognized Board or Institution and Certificate of Competency as Engine Driver 2nd Class and Two years’ service as a Syrang/ Tindal on a vessel of over 400 B.H.P. Engine Driver, Group-C (NG): Matriculation or equivalent from a recognized Board or Institution and Must have permiåt from Mercantile Marine Department for Class III Driver and 2 years’ experience as Crew Engine Room. 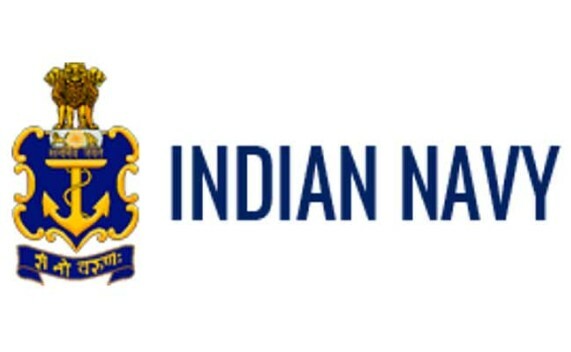 Fireman, Group-C (NG): Matriculation or equivalent from a recognized Board or Institution and Must know swimming or equivalent from a recognized Institute for Indian Navy Recruitment 2018. Applicants send their hard copies of the signed application Filled along with photocopies of ID proof, Proof of Date of Birth, Educational Certificates (Mark-Sheets/Degree Certificate), Caste and attested copies of relevant documents should be sent to the following address (Address mentioned in official notification) by post. Envelope must be superscribed with “Application For The Post of___________” and Category“___________” (i.e.SC/ ST/ OBC/ PwBDs/ ESM/ Meritorious Sportsperson).